This entry was posted on December 4, 2018 by Amberley Publishing. Eastern National was probably one of the more fondly remembered Tilling subsidiaries and although it had a very highly standardised fleet towards the end of the 70s and most of the 80s, it still had something of interest. It is well known that as a National Bus Company subsidiary, EN was involved in the great FLF/VRT swap of 1973, when the National Bus Company swapped a large number of Bristol FLFs for an equivalent number of Bristol VRTs that The Scottish Bus Group was dissatisfied with. What is not so well remembered is that two years earlier in 1971 Eastern National and Alexander Midland did a swap of their own where Eastern National gave fifteen Bristol FLFs in exchange for the same number of Bristol VRTs. Although a few operators converted half cab double deckers to One Man Operation in the 70s, with varying degrees of success, Eastern National was the only operator that converted Bristol FLFs to OMO. Six were rebuilt in this way in 1973, but it was not considered a success and no other operator did this. Eastern National were the only NBC company to stipulate 70 seats on their Bristol VRTs delivered in the 70s while every other subsidiary was receiving 74 seaters from the advent of the Bristol VRT/ series 3 in 1975. 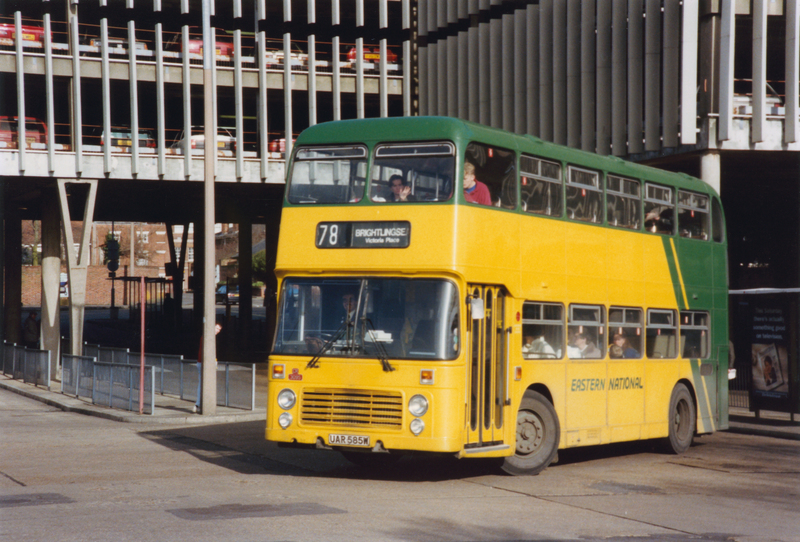 Although the last two batches in 1981, which were diverted from Alder Valley and Southdown, were 74 seaters. Eastern National built up one of the country's biggest fleets of Leyland Nationals in the 70s. The last one being delivered in 1980, which had the effect of gradually eroding the Tilling inheritance in the fleets appearance. Which up until then had been dominated by Bristol/ECW types which of course was standard in the Tilling Group. Eastern National's last front engined double deckers were Bristol FLFs. EN bought 247 FLFs and even by 1980 there were still over 100 in the fleet. But they were withdrawn rapidly after that, the last one being withdrawn in September 1981, although crew operation lingered on for a short while after. By 1982 Eastern Nationals' fleet became very standardised, with the double deck fleet being almost entirely made up of Bristol VRTs plus three examples of the new Leyland Olympian. While the single deck bus fleet being mainly Leyland Nationals with a few remaining Bristol REs. Eastern National was successfully purchased from NBC in December 1986, and during its brief period of independence, saw off competition from Coastal Red as well as taking on several LRT routes in East London. A number of midlife Bristol VRTs were purchased from Milton Keynes Citybus at this time, mainly for use on LRT routes. 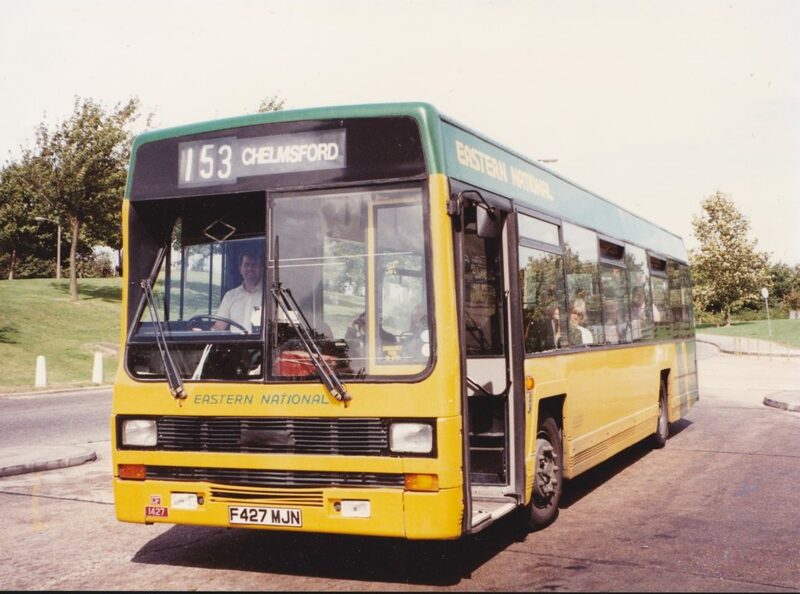 In 1988 Eastern National purchased 30 Leyland Lynxes which went on to have long lives in Essex, although none were ever allocated to the northern Essex depots such as Colchester, Harwich, Braintree or Clacton. 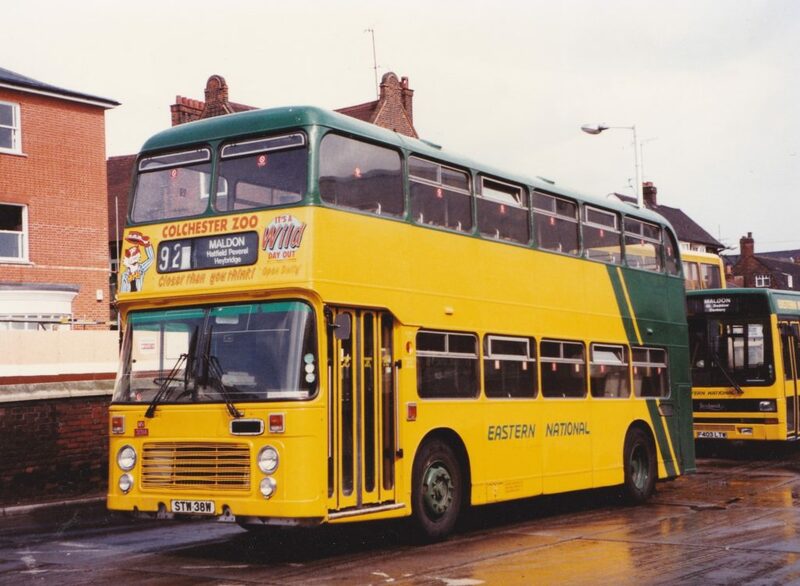 Eastern National was taken over by Badgerline Holdings in April 1990, which seemed surprising at the time, as it was the first bus company that Badgerline took over that wasn't in the south west or Wales. At first little seemed to change, but in the summer of 1990, Ford Transit Minibuses were transferred from Cityline for town services in Chelmsford. In July 1990, EN's new owners partitioned EN, creating the new subsidiary Thamesway for the south of Essex and LRT routes, while the Eastern National name was retained for services around Chelmsford, Braintree, Maldon, Colchester, Harwich and Clacton. Thamesway very quickly transformed their area of operation, introducing minibuses on town services in and around Basildon and Southend areas, as well as directly competing with Southend Transport in the south east corner of Essex. In 1993 a new livery and identity was introduced using the colours of parent company Badgerline. This was also the time when Badgerline introduced their subtle corporate identity by applying cute cartoon badgers to the wheel arches of the subsidiary's buses. 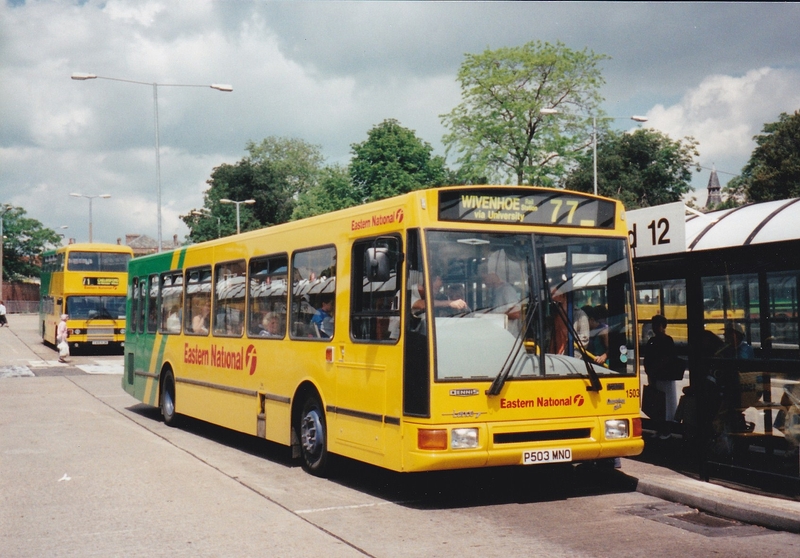 In 1995 Badgerline Holdings and GRT Holdings merged and the resulting new company was called FirstBus. This also brought Eastern National and neighbouring company Eastern Counties back into common ownership. While Badgerline and GRT both had a policy of their subsidiaries having their own identities, First Bus decided to gradually create a group identity. This meant the Eastern National and Thamesway fleetnames gradually being relegated to lesser prominence before finally disappearing altogether. This was a process that was happening to various fleets throughout Britain. Eastern National and Thamesway were eventually reunited as First Essex. As time went on the Eastern National heritage gradually disappeared as the VRTs, with their classic ECW lines, (a reminder of the NBC and indeed Tilling eras) were gradually withdrawn, with the last ones (apart from one which was retained for a while as a heritage vehicle) being withdrawn in 2004. And the Lynxes went about the same time. Recently First have revived the Badgerline name and livery for services around Weston super Mare, and do seem to be in a gradually process of introducing local identities to selected areas, so maybe one day the Eastern National name may be revived. 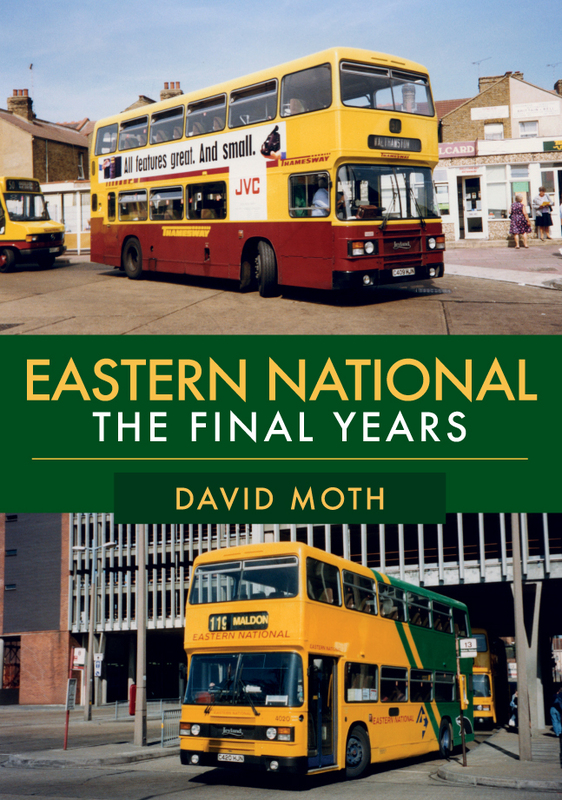 David Moth's new book Eastern National: The Final Years is available for purchase now.